Ipsen is a global, specialty-driven biopharmaceutical group. All over the world, our teams make a difference to millions of people. Discovering new solutions for debilitating diseases and improving quality of life for patients, our work is challenging, rewarding and absolutely vital. Ipsen is a global biopharmaceutical company focused on innovation and specialty care. All over the world, our teams make a difference to millions of people. Discovering new solutions for debilitating diseases and improving quality of life for patients, our work is challenging, rewarding and absolutely vital. 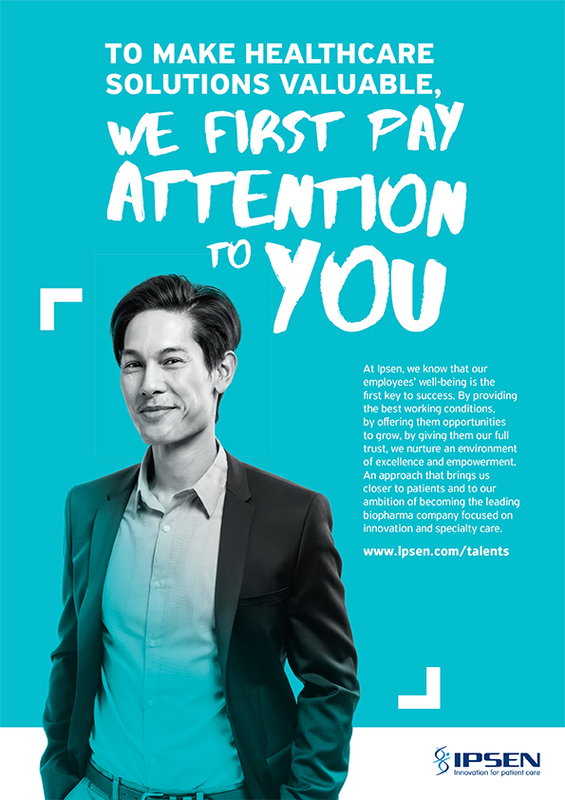 We have a unique proposition for our talent: a biotech mindset characterized by our agility, flexibility and speed, combined with a 90-year heritage. We recognize that our people are our biggest asset and we understand the importance of developing the expertise of our workforce as we continue to attract more talent to our organization. Innovation is in everything we do – and it is not just about R&D innovation. It is about operating excellence in technical operations, incremental improvements in back-office processes and having the right mindset – being curious, testing, taking decisions quickly. And underlying all of this, in everything we do, in every part of our business, we have one simple purpose: to make a real impact on patients’ lives. So we give our talented people all the support and development they need to turn ideas into action. And each and every one of us is expected to be innovative, collaborative and agile. This is no ordinary company, so we offer extraordinary opportunities. We don’t stand still, because patients can’t wait. Turning ideas into action. Turning talent into impact. Everything we do, in every part of our business, has one simple purpose: to make a real impact on our patients’ lives. So we give our talented people all the support and development they need to turn ideas into action. And each and every one of us is expected to be innovative, collaborative and agile. This is no ordinary company, so we offer extraordinary opportunities. We don’t stand still, because patients can’t wait. We make a straightforward deal with our people based on what matters most to us as an organization and what matters most to us as employees. Here are some of the amazing Ipsen people working across research and development, production, procurement, sales and marketing and support functions to create better lives for our patients.